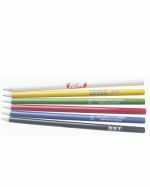 We supply a wide range of promotional crayons and custom-branded pencils all over Australia for an affordable price, customised with your company’s personal logo or artwork. 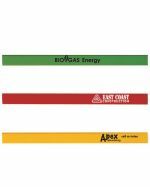 With a generous variety of unique shapes and designs, and a massive assortment of vibrant colours and styles, our cheap customised stationery is the perfect option for your next marketing campaign or event, especially if you’re on a budget. 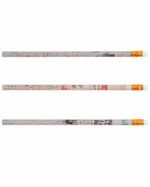 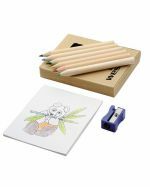 Not only will children relish drawing and colouring with these fantastic promotional pencils, but individuals of all ages will love it when they discover a new artistic side to them when they least expect it. 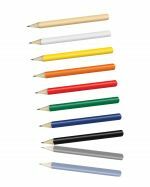 With such a diverse range of custom-branded crayons and pencils in our catalogue, we stock the perfect personalised stationery item to suit your marketing needs and budget, no matter what product or service you provide. 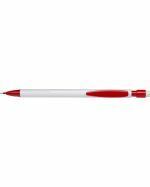 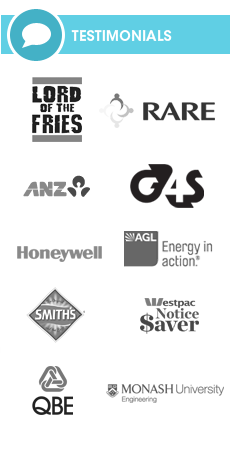 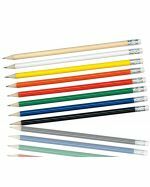 We stock our custom-branded pencils and crayons locally and brand them here in Australia so you can expect professional service at your convenience, a quick turnaround time and fast delivery to all states and territories. 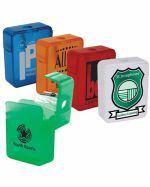 Give our friendly staff a call today to receive an affordable deal on our amazing variety of promotional stationery for your next event or campaign, and have your items promptly delivered to your location wherever you are in Australia. 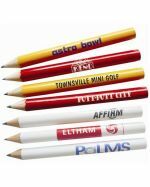 We ensure that your customised design or graphics legitimately stand out from the competition when we use the latest printing techniques and technologies to imprint or engrave your brand’s logo onto the promotional pencils or crayons of your choice. 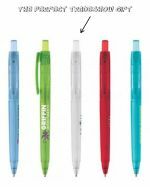 Whether you select the budget-friendly Round Mini Pencil, demonstrate your eco-friendly side with our recycled pencil range or endorse a kid-friendly approach with any of our well-packaged, branded crayon sets, you know you’re getting affordable yet high-quality stationery that is certain to impress your clients and emphasise your brand’s message whatever the situation, whenever the time. 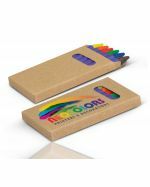 The team at Promotional Items' remain the acknowledged experts when it comes to printing your custom brand onto this amazing range of promotional crayons and pencils, and as always, we guarantee the quality of our work so you can be confident to receive superior, well-branded stationery every time you order from us. 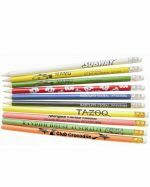 What Are Promotional Crayons and Branded Pencils Made From? 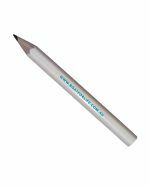 Contrary to popular belief, there is absolutely no lead used in the composition of pencils, but rather a non-toxic substance called graphite is used to produce the deep grey markings that we see on paper. 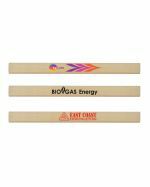 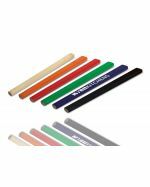 Our range of coloured promotional pencils are manufactured by combining colour pigments, waxes and minerals, which are then pressed and moulded before being bonded onto rigid wood slats, to result in the well-constructed, top-quality pencils that you will receive when you purchase these affordable stationery items. 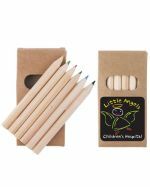 Our branded crayons are made using a combination of colour pigment and paraffin wax, which is stored in heated tanks. 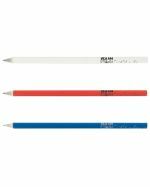 This mixture is heated until it softens into a liquid, poured into crayon moulds, and then cooled to form the final product. 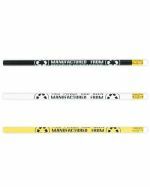 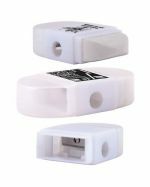 Through continuous quality checks, we verify that these promotional stationery items are manufactured to the highest standard possible using sustainably-sourced, high-quality materials, to ensure that you receive the most viable, affordable and superior product that your hard-earned money can buy. 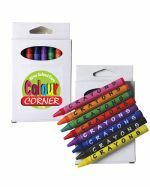 Add some vitality and flair to your marketing campaign by enhancing your stall or featured environment with these colourful promotional pencils and crayons. 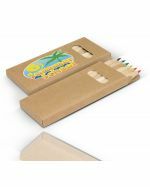 Because our custom-branded stationery is available in a myriad of unique shapes and designs, with various items packaged in durable cardboard or plastic containers, your clients and potential customers will certainly feel valued when you distribute these fantastic items at any social or corporate situation, such as expos, business conferences, seminars, local festivals, fairs, parties, or anywhere you plan to spread your reputation for quality. 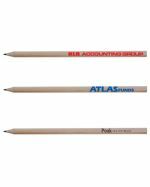 Consider placing these excellent promotional pencils and crayons on the reception desk or waiting area, where your clients can pick up a few, or disperse them across schools and tertiary institutions, where your target audience can really make use of them, and be reminded of your brand whenever they do so. 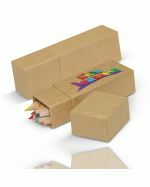 As well as this, we guarantee that all the materials used to manufacture these products are completely safe for children, so you can rest assured that kids will be out of harm’s way while being creative with these items. 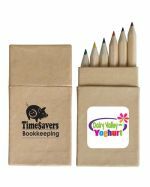 Our promotional pencils and crayons really bring a popular, effective marketing tool to the table, with affordable prices accompanied by amazing quality, giving you the best possible value for money.